Meanwhile Manafort . . . 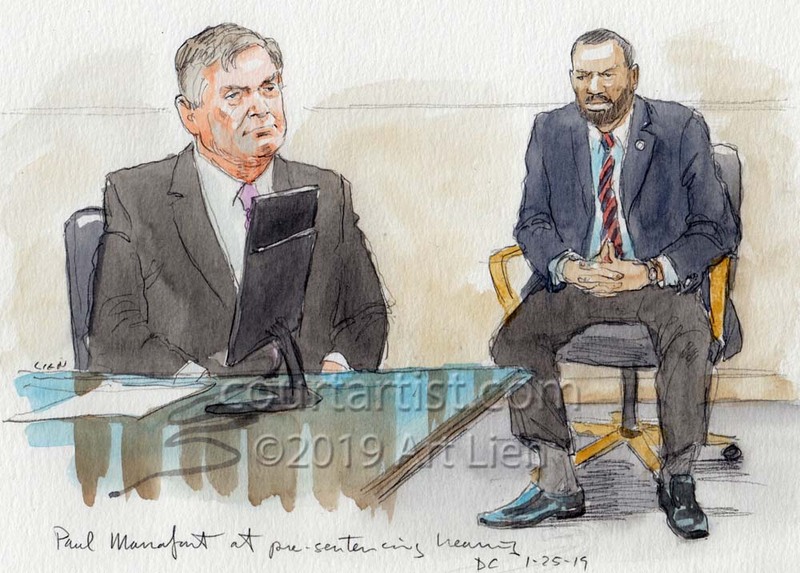 The indictment and early morning arrest of Roger Stone overshadowed Paul Manafort’s appearance in a DC courtroom yesterday. 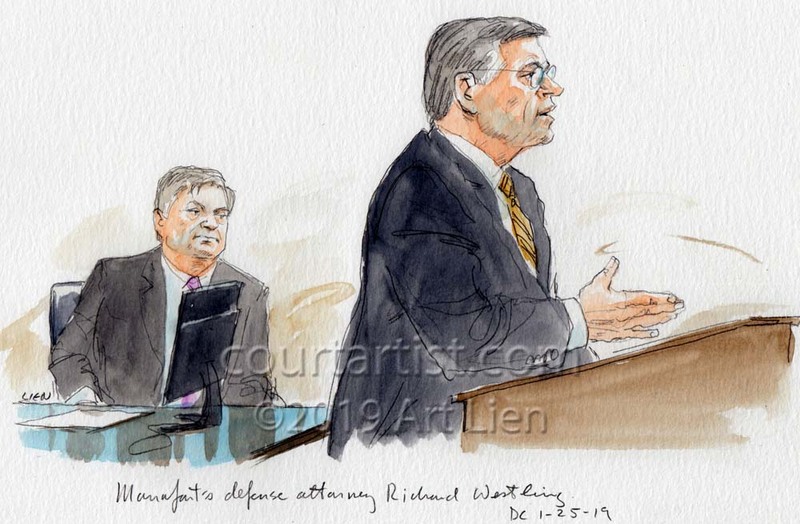 Manafort chose not to be there but judge Amy Berman Jackson insisted he attend the hearing over his lack of cooperation with the Special Counsel. 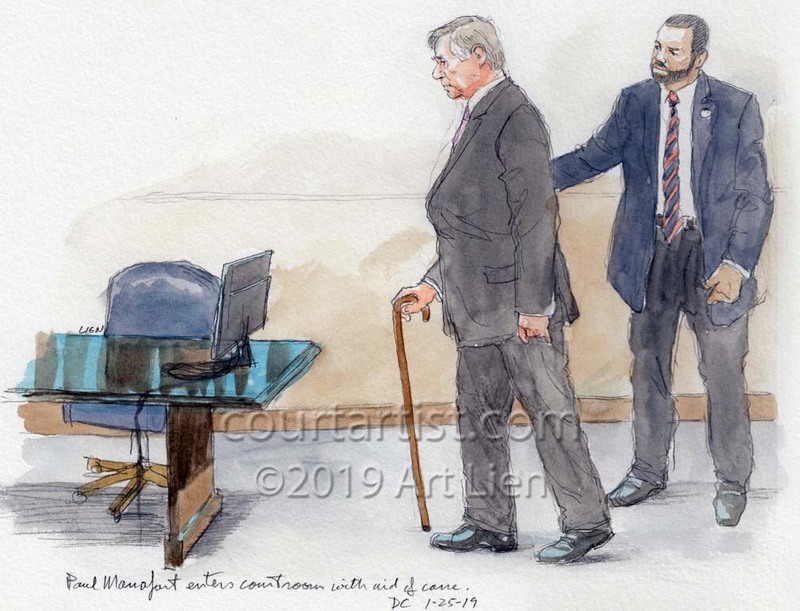 Leaning heavily on a cane as he walked into the courtroom, his hair a bit more gray, Manafort is looking old and tired. 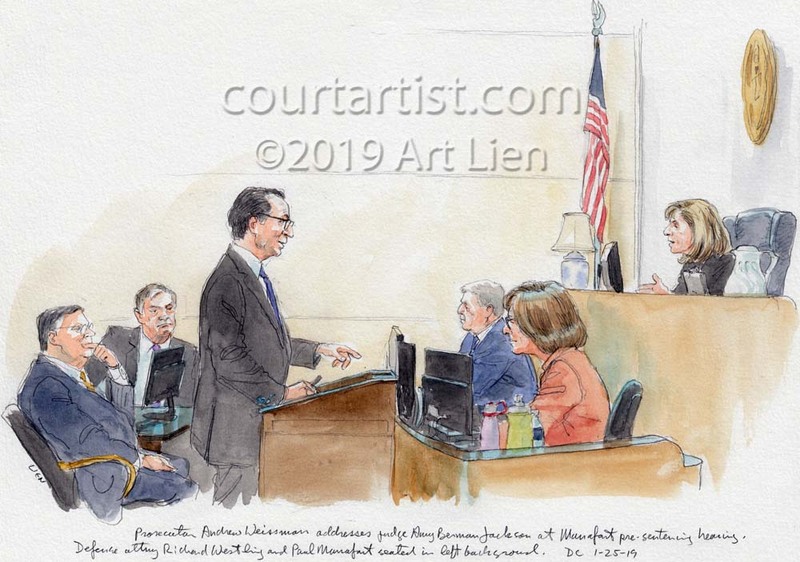 The hearing will continue next week but under seal, behind closed doors so no sketches. However, on Tuesday Roger Stone will be at the DC courthouse for arraignment, and I wouldn’t want to miss that. As always I learn a lot :) curious to know what sizes are your sketches. ?